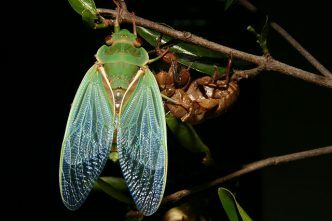 First announced in November 2011, the US force posture initiatives in northern Australia comprise a deployment of US Marines to Darwin and other parts of the north for about six months each year and increased rotations of US aircraft through the region. Taken together, the initiatives are intended to enhance defence cooperation between Australia and the US. The Marine Rotational Force—Darwin (MRF-D) initiative aspires to establish a presence in Australia’s north of an up to 2,500-strong Marine Air–Ground Task Force. From a modest initial deployment of around 200 in 2012, successive rotations have grown in size and scope. The 2018 rotation involved almost 1,600 personnel and the most complex mix of equipment seen to date. While they’re in Australia, the marines do their own unilateral training. They also train with elements of the Australian Defence Force and take part in bilateral and multilateral exercises. The Enhanced Air Cooperation (EAC) initiative was originally billed as an extension of longstanding bilateral activities in northern Australia, but without much detail about what that might mean. It seems to have achieved more substance since 2017, when the Australian Department of Defence for the first time announced specifics of visiting US aircraft types and the nature of training conducted under the EAC umbrella. Defence emphasises that the EAC is about more than just aircraft and encompasses enabling effects such as joint logistics. The initiatives were at first governed by the 1963 Status of US Forces in Australia Agreement, but since 2014 the new, purpose-designed Force Posture Agreement has provided a more tailored legal, policy and financial framework. In signing up to the initiatives, Australia pursued a number of objectives. We sought to deepen the ANZUS alliance and further our strategic interest in maintaining a strong US presence in the Asia–Pacific. 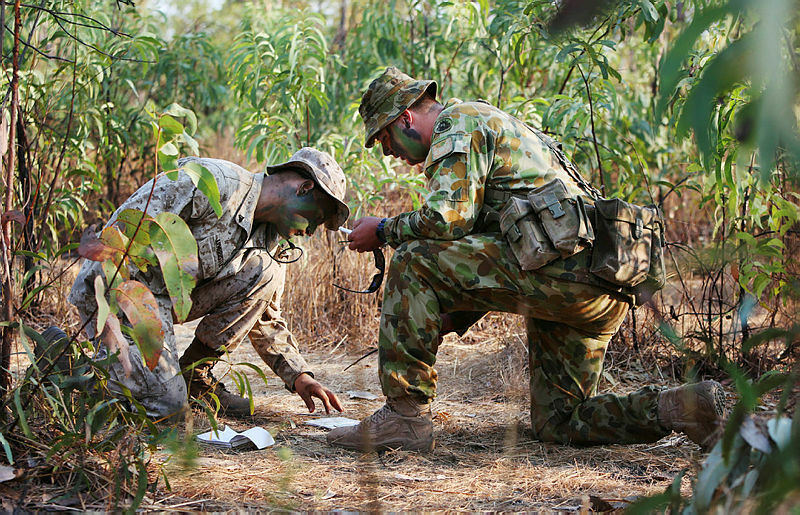 Defence saw a way to improve interoperability between the ADF and US forces and to maintain the ADF’s high-end war-fighting skills through enhanced training. And it wanted to create opportunities to work with the US and regional partners in preparing for common contingencies, such as humanitarian assistance and disaster relief. US interests originally centred on Barack Obama’s ‘pivot to East Asia’, which intended to refocus America’s attention and resources away from the Middle East and towards the Asia–Pacific. In contrast to the permanent forward bases of the Cold War era, the new approach called for rotational deployments to host nations (some argued that this was intended to make US forces a more difficult target for ballistic missiles). While the US no longer uses ‘pivot’ language, Donald Trump’s 2017 national security strategy provided some continuity by listing the Indo-Pacific first in its ‘regional context’ section and committing to maintain a forward military presence in the region capable of deterring and, if necessary, defeating any adversary. 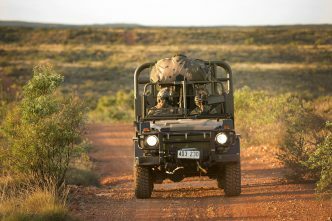 At a tactical level, northern Australia also provides US forces with access to some of the world’s most modern ranges and largest training areas. For all the rhetoric, implementation hasn’t been without its irritants and the initiatives have been painfully slow to gather momentum. In 2018, MRF-D numbers were still well short of the full Marine Air–Ground Task Force, and EAC activity had only just begun. (Marine tempo worldwide and ongoing budget and sequestration challenges are likely to continue to complicate efforts to reach the 2,500 target.) 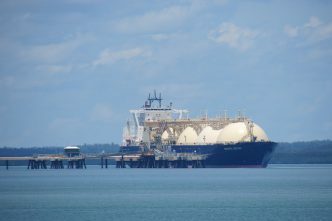 Negotiations for cost-sharing arrangements were slow and have only recently been completed. Although Defence has made much of the potential for Australian industry to contribute to both infrastructure development and US procurements more broadly, little has yet been realised in those areas. And there’s been some misbehaviour by visiting US forces, although that hasn’t been as significant an issue as Australians might have feared. 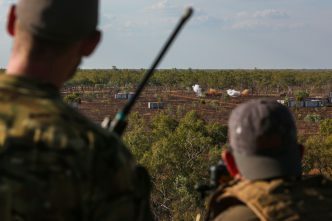 That said, neither Defence nor the US should take for granted its social licence to operate in the Northern Territory. Despite these frustrations, the initiatives have generally been well received in Australia and the region. Domestic critiques tend to come from those who decry ANZUS more broadly and from those concerned about the potential for the initiatives to destabilise our relationship with China. But the Chinese reaction has been mixed and surprisingly muted overall, and other regional neighbours, including Indonesia, have been quietly supportive. Although the initiatives aren’t yet mature, after seven iterations we can now make some preliminary judgements about their value. If we’ve sought to bolster the US presence in the region, we’ve certainly achieved that: while the trajectory has been uneven, the size and scope of US forces participating in the initiatives have continued to grow and, importantly, there’s been no sign of the US resiling from its commitment. The Force Posture Agreement has helped deepen ANZUS by adding a new institution to the treaty, which some scholars argue is relatively underdeveloped in such architecture. ADF training and interoperability have been enhanced, and the pace of improvement is likely to accelerate as both sides build on the experience of successive rotations. New infrastructure and other measures introduced to support the US presence will help develop Australian capability, not least in problem areas such as bulk fuel and ammunition storage. US platforms such as the V-22 Osprey tilt-wing aircraft offer the opportunity to open up remote training areas. And the potential US contribution to the Northern Territory economy is welcome and strongly supported by local community leaders. From the US perspective, the primary value of the initiatives remains their contribution to a geographically dispersed, operationally resilient and politically sustainable military presence in the Indo-Pacific. This is increasingly important to the US at a time when it confronts major challenges in the region, not least its problematic relationships with China and North Korea. In addition, by continuing to commit to the initiatives, the US can send a strong signal that it still values Australia and ANZUS despite Trump’s ambivalence towards allies and alliances more generally. However, there are no straightforward options for expanding the initiatives. There’s little point in making the US Marine presence year-round, since the wet season would preclude the training activities that are the MRF-D’s raison d’être; and, in any case, a permanent presence would likely be politically unacceptable on both sides of the Pacific. While adding a formal naval dimension might seem obvious, such opportunities are tightly constrained by the limited capacity of Darwin’s parlous naval infrastructure. For the moment, then, the focus is likely to remain on growing the MRF-D and EAC to their target numbers and maturing the infrastructure and other arrangements needed to support them. Even if that takes another decade, the force posture initiatives will still have served their purpose. Michael Crane is a retired major general who served in the Australian Army for more than 37 years and saw operational service in East Timor and the Middle East. Image courtesy of the Department of Defence.